Since you have found this place, you probably already know what 12 orbits is. This text will go into a little more detail on what to expect from the game, how it works, and some questions that come up from time to time. Consider it optional reading. 12 orbits doesn’t require any prior knowledge, preparation time or additional controllers. Even a single smartphone or keyboard will do for 2 - 12 players. The goal is to enable everybody to play together. Anywhere, anytime. 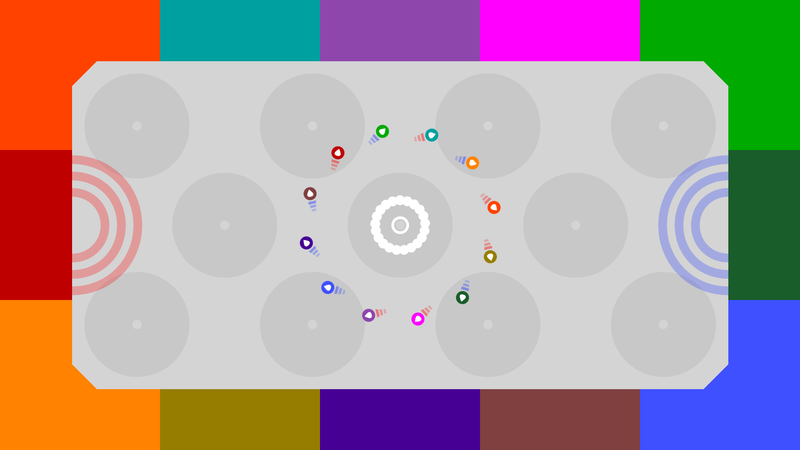 12 orbits is colorful, friendly, fun, and sometimes a little chaotic. You will score goals, color spheres, defend your territory and try to grow as long as possible in 4 varied game modes, versus or as teams. 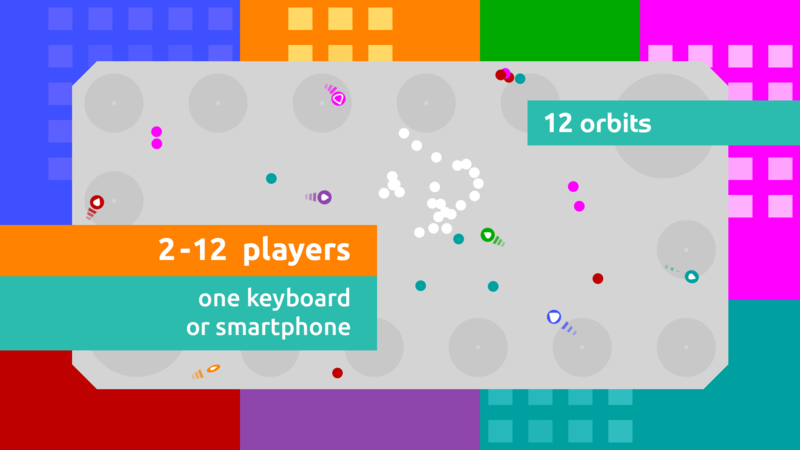 You don’t need 12 players to try out 12 orbits. This isn’t about testing how many people you can physically place in one spot. It’s about always being able to play with everyone who is around. 2 is enough, and 4 is already perfect. This is very much a multiplayer game though. You’ll be able to practice the controls alone, but not much else. 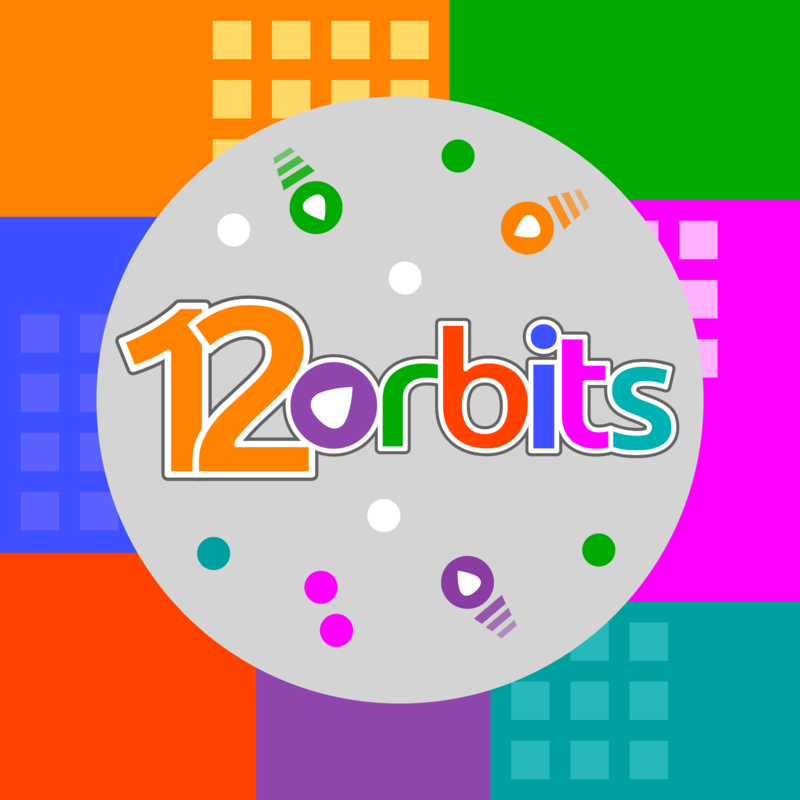 12 orbits is a very simple game. The controls are simple. There is only one button per player, and you only need to worry about two possible actions. The rules are simple. All game modes have been broken down to the bare essentials, and they can all be explained in three sentences or less. The graphics are simple. Nothing distracts from the actual gameplay, and even with 12 players on one screen, every situation is easy to read. All of that means that if you want to explain the game to a new group quickly, you can. 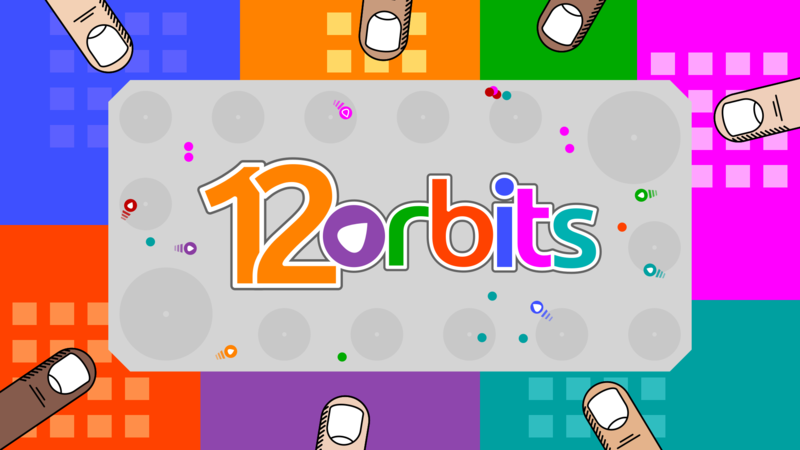 12 orbits is simple enough for anyone to understand, and you always have everything you need to add more players. Simple does not mean easy though. 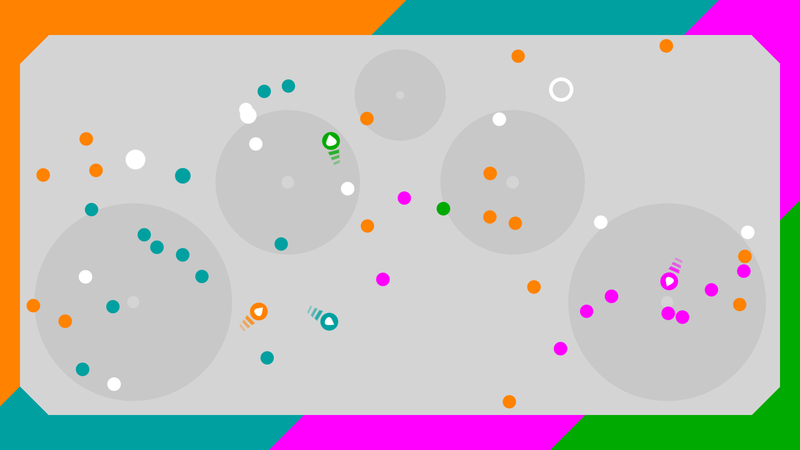 There may only be one button per player, but it will take a long time until you can nail trick shots across the whole map, and even longer until you can control your path just by bouncing off spheres and other players. The rules may be easy to understand, but that doesn’t mean you can win without strategy and teamwork. And since it is not always possible to change your direction, you will always have to plan ahead as far as you can, for both yourself and your opponents. 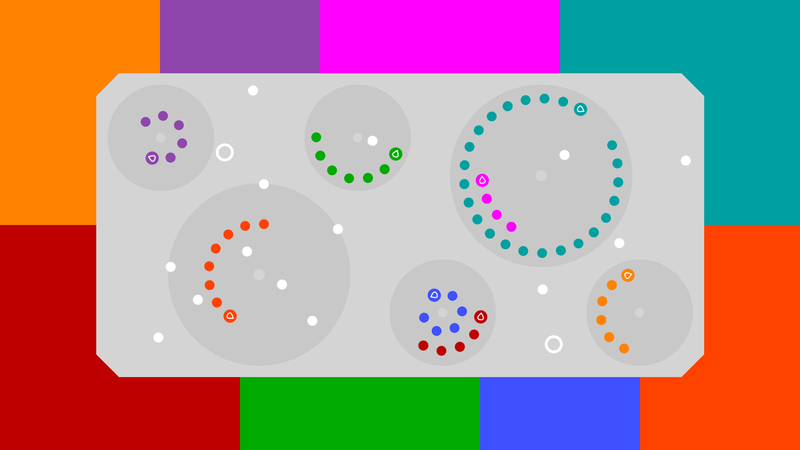 12 orbits is a skill-based, competitive game, with only one button per player. Simple does not mean easy, it just means that it is easy to start having fun. Does this really work for 12 people on any input device? 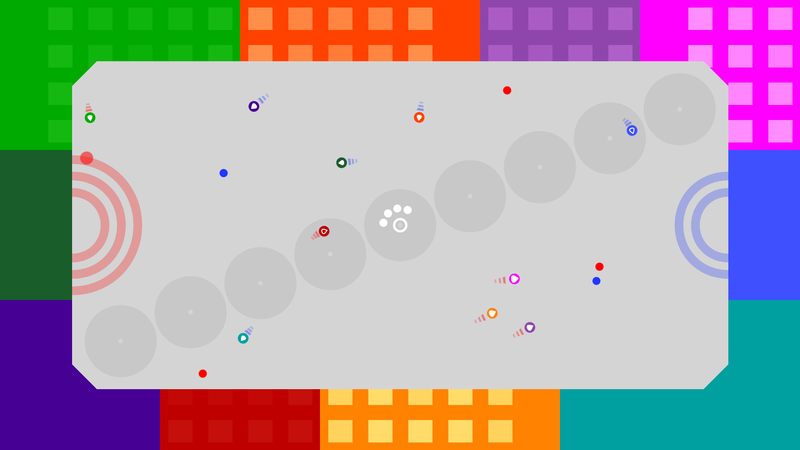 Games where everybody may physically fight for the whole input device are an alternative. But for a lot of players at once, you’re going to break either the device, or a player. Even if your device supports many inputs at once (keyboards with n-key-rollover, gamepads), sticking to these rules makes actually playing the game much easier. If you have to assume a weird position for everybody to reach their button, holding it down or even button mashing won't be very enjoyable in the long run. That being said, isn't it still possible to use 12 orbits to overwhelm your device and lose inputs? Sure. If you want to press all buttons at the very same time, there is no way to get around the technical limitations. However, 12 orbits is designed to make this an extremely rare occurrence, and to hide from the players that any of these limitations exist. If you are not sure where to go next after the Tutorial, try "Arena" for 2-3 players, or "Blizzard" for 4 or more. Arena requires the least amount of precision to get going, while Blizzard allows you to focus on your team and to play defensively. Of course, the best choice ultimately depends on your playstyle, but these are the easier game modes for beginners. What about the Practice Modes? Although they do support up to 12 players, the practice modes are mainly a way to practice the controls a little when you are alone. They won’t make 12 orbits an extensive single-player experience, but they are a good entry point for younger players, for those who just want to relax a little, or for those who are not used to video games at all. But since you are the sort of person who reads a presskit, it is likely that you'll want to start with one of the Play Modes instead. Do you like collecting, building, and generally minding your own business, while everybody tries to do their best? Arena is the right mode for those who don’t always like to play aggressively, which also makes it a good option for small groups of beginners. Focusing only on yourself is a perfectly viable strategy here, although you won’t often place first unless you also color a few spheres now and then. If you have ever played Snake or Zatacka (also known as “Achtung die Kurve”), this will look familiar. But if you want to win, it’s better to think of Chess. You constantly need to monitor and predict the path of your opponents in order to move yourself away from dangerous positions, and to anticipate when they might be vulnerable themselves. At first, it may seem like a good strategy to just keep orbiting inside a circle to avoid trouble, but to a skilled player, that just makes you a sitting duck. Easy to aim for, unable to dodge. Just as Arena allows you to focus on yourself, Blizzard allows you to focus on your own team. This makes it a great entry point for larger groups. Players can easily see what their teammates are doing, give each other advice, and in contrast to Arena, they don’t even have to worry about being eliminated. In big groups, Blizzard tends to be the loudest game mode. The teams have to coordinate well in order to ensure their defense is impenetrably at all points, and players often panic more and more as a slow-moving sphere is missed again and again on its way towards a barrier. There will be shouting. Where Blizzard is almost all defense, Multiball is almost all offense. While all other game modes become harder and harder for all players as time moves on, Multiball makes you do all the work yourself. Goals won’t happen unless you make them happen. And since the best way to stop attacks is to shoot into your own goal, defense is offense, too. 12 orbits makes it hard to stay in one place to wait for the perfect shot, which means you’ll be more successful if all players constantly change their positions, based on who is best aligned for the next move. Well-coordinated teams will usually succeed over those who rely purely on skill. The maps mostly differ in how much they focus on orbiting or evading, and in how easy it is for newcomers to go where they want to. 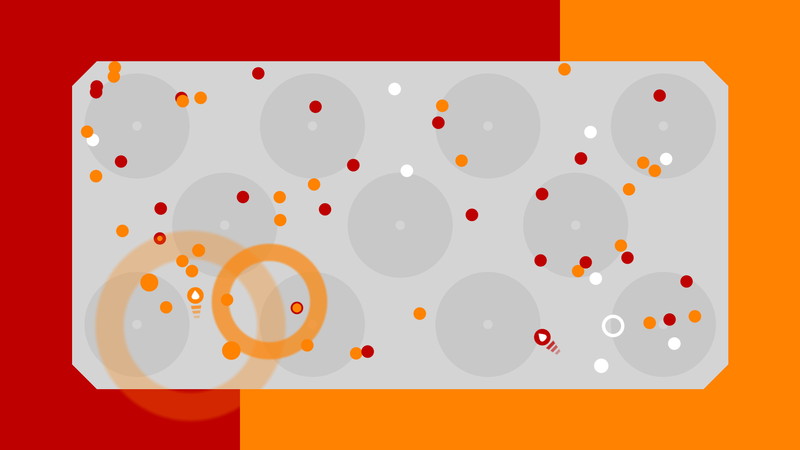 After a while, players develop ways to deal with very small and very big circles, which makes all maps less difficult to navigate. 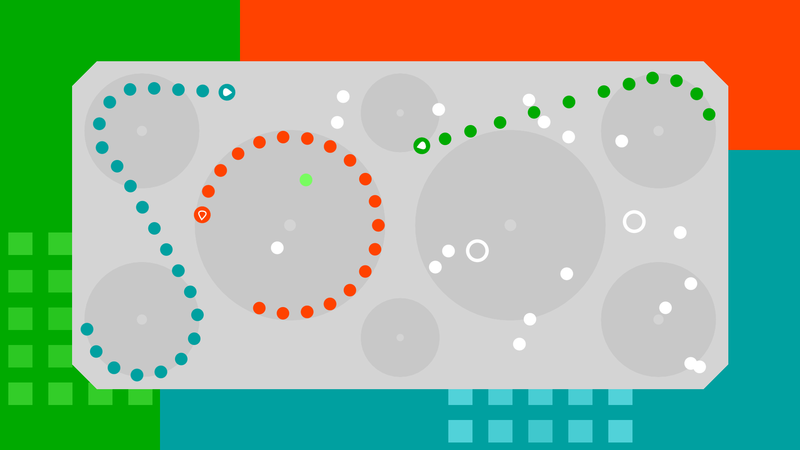 Some maps, for example "Roundabout", are more on the goofy end of the spectrum and require quite different strategies. When playing for fun, I recommend starting with the standard map "The Grid", and switching to random maps after a few rounds. There are two maps that can be considered both tournament-ready and beginner-friendly for every situation: "The Grid" and "Diamond". Both of these maps work well for every game mode, every modification and every number of players. They also offer the most control out of all maps, meaning that you can always plan a good path to where you want to go, and switch between orbiting and evading at will. "The Grid" works slightly better for beginners due to its bigger circles, while "Diamond" works slightly better for big groups of players. 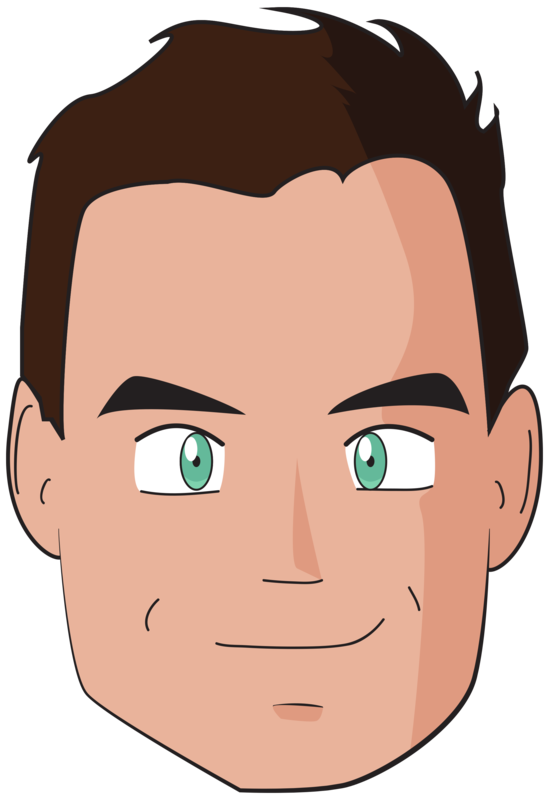 The price point is a result of releasing my first game, with no idea how marketing works, and wanting people to try it out. It is not an expression of what I think about the game's quality. 12 orbits was developed by Roman Uhlig over the course of 3 years, alongside his computer science studies. It may have taken longer than expected, but he is still a little proud of it. Local multiplayer for everybody at once. Anywhere. Anytime. On anything. have a look at these YouTube playlists. 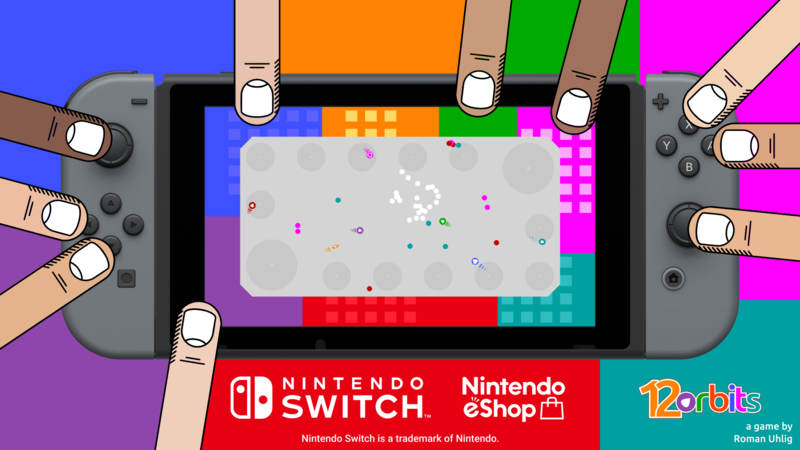 "Nomination for 'Best Youth Game' at DCP 2017 (Deutscher Computerspielpreis)"
The Nintendo Switch is not yet supported by distribute(), but you can request a review copy (for any platform) by sending me a quick email. For Steam, you can also request review copies via Keymailer, woovit and distribute(). Tall guy, librarian, swimmer, computer science student, game designer. More information on Roman Uhlig is available here.